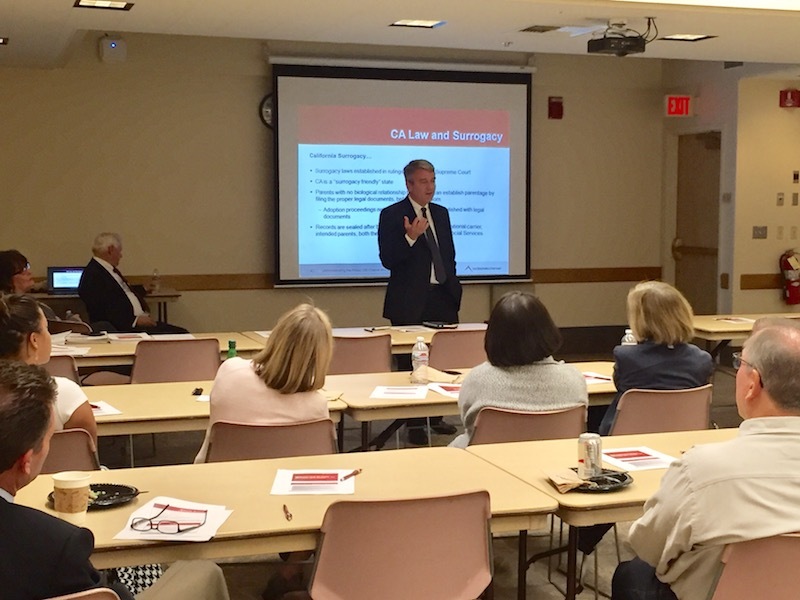 Matt Kinley, founder Kinley Law Practice, and Health Care attorney, speaks to obstetricians about surrogacy law. Informing physicians about dealing with surrogacy laws, attorney Kinley has developed a program to help obstetricians and other physicians to respond to concerns of surrogate parents and intended parents involved in surrogate contracts to deliver babies. This entry was posted in Current Affairs, kinleylawpractice.com, Obstetrician law, Physician, Physician Assistant. Bookmark the permalink.